I still remember back in 2008 when I was still a student back in the States, I looked like any other student. I had a full length of black hair where I would tie up and wear a hoodie to keep myself warm during winter. Fashion has never crossed my mind so don’t even mention referring to myself as a fashion blogger. I have never thought one day I would have started my own blog to share my personal style with everyone. One day, when I was walking to my advertising class, I passed by this flyer for “MODA Model Wanted”. MODA is a fashion show that takes place once a year in our university, hosted by the fashion design students. I brought it back and showed it to JO, he was like why not you give it a try? So off I went and I got it! I modeled for MODA for 2 years straight and it was so much fun! That’s when I started learning more about fashion and styling. During the fashion shows I learned that everyone has their own style, you don’t have to try hard to be someone else. 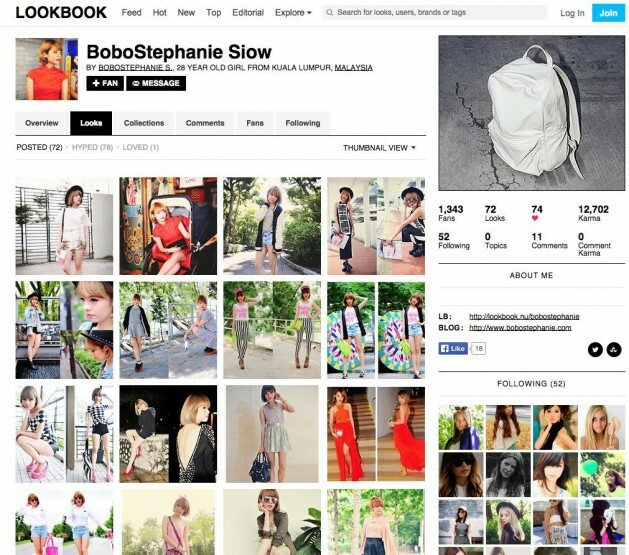 After that, I came across a fashion site called LOOKBOOK.NU. It’s a micro site that allows anyone round the world to share their looks. There was where I found out about Chiara (The Blonde Salad) and Andy (Stylescrapbook), and I really enjoyed looking at both their styles. Finally, on August 8th, 2009 I joined and shared my first outfit on Lookbook.nu but the feedback wasn’t great, I received 10 positive comments (members on Lookbook are way too nice hahaha) but it was good enough for me to keep sharing! After my second, third and fourth looks I started enjoying the idea of dressing up, snapping pics and sharing it with everyone! I still remember back in 2010 I received an email from American Apparel saying that they started a LOOKBOOK collaboration booklet and my looks were being featured in it. You have no idea how happy I was, AA is one of my favorite brands back in the States. I love how simple but chic their clothing can be, it can be mix and matched easily! This was one of the reasons why I kept my dream of being a fashion blogger going till now. I felt that I needed a blog to make my dreams come true, how can a fashion blogger not have her own site? So I started my own blog called Bobostephanie.com in June 18th 2009! Most of my posts are mostly fashion related; it’s like an inspiration board (way before Pinterest was created) where I will share whatever I like or wear (LOTD) with everyone. 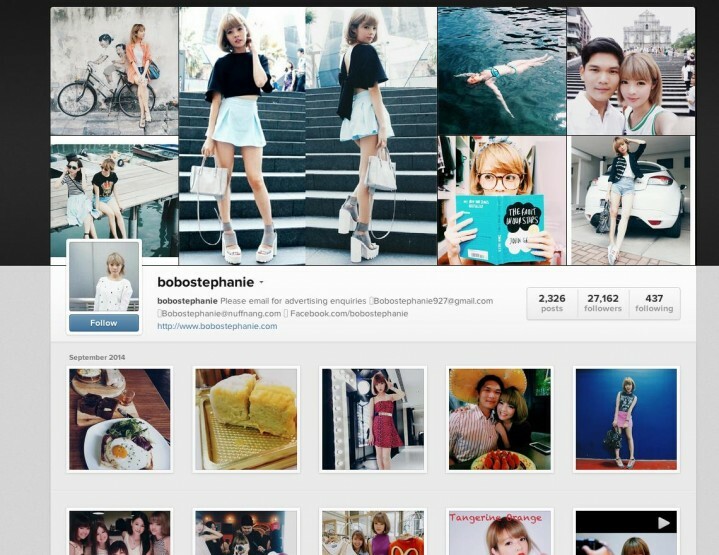 Then we have Instagram (@bobostephanie), a social platform that makes it so much easier to share our looks with everyone! I realized how much I have changed from 2009 till now, my look, my fashion sense and my writing, I hope it’s getting better not worse hahaha. It feels good that I made my dreams to be a fashion blogger come true. Although, I’m not as big as some other bloggers, it keeps me going whenever someone tells me that they love my look and I inspire them to dress up too. It does feel good when a dream comes true doesn’t it? It also gives me more confidence and encouragement. I also learned that not just our look or appearance could help us to be more confident, personal hygiene is as important too. You have to keep yourselves clean and fresh no matter when. There is only a certain time that I don’t feel like dressing up, that’s when the “visitor” comes to visit us monthly. I also feel the need to shower at least twice a day hahaha I don’t know why, maybe because I want to make sure my V is clean. To make sure it’s clean throughout the day, I use Lactacyd cooling daily feminine wash. Lactacyd is made from a natural milk base that helps to keep our skin soft and silky. It gives me a refreshingly clean experience! Besides that, the Lactacyd range ranges from skin lightening, moisturizing, anti-aging to long lasting! My personal favorite is the wipes, it’s really convenient especially in Malaysia hahaha (you know what I mean, Malaysia toilet always run out of toilet paper one lo). I always make sure that I have Lactacyd wipes in my bag no matter where I go, it helps to keep me feel fresh and clean even when I’m out for the whole day. Lastly, I have to thank Lactacyd for completing my beauty regime and providing me with the confidence to face my daily challenges. If you have a dream and always wanted it to come true, here is the chance! Join the Lactacyd Veni, Vidi, Vici contest to stand a chance to win a RM30,000 Start-Up package! Join the contest by sharing your picture and your brilliant business plan, then Lactacyd might give you the cash to help put your plans into action! I realise I followed you since you first started your fashion dream! Hahaha..it gets better and better for sure! i stumble unto your website as i was looking out for fashion tips. Being the mid-40s and trying to keep up with the current fashions as i have teen daughters and knowing their limits. i like the way you’ve brought yourself out (without flaws) and of course sharing your beauty tips. 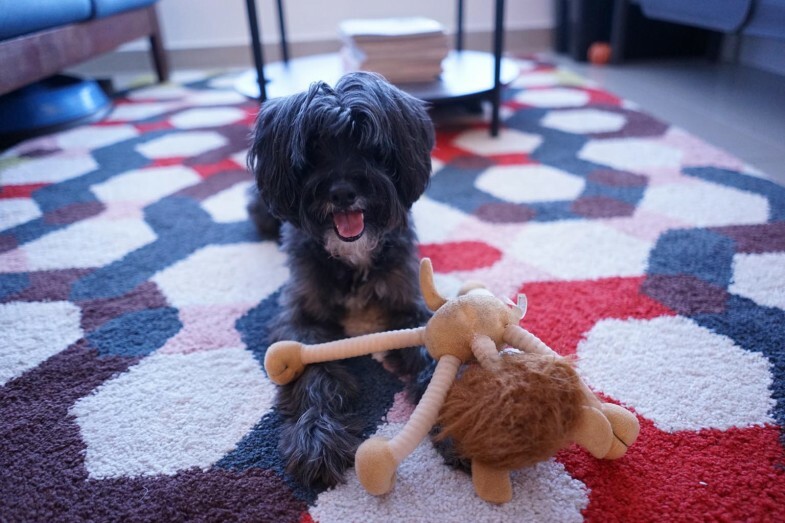 Thanks for sharing and keep sharing…i’m sure most of us enjoy reading blogs of people we don’t know. I do hope I get to meet you in person one day.